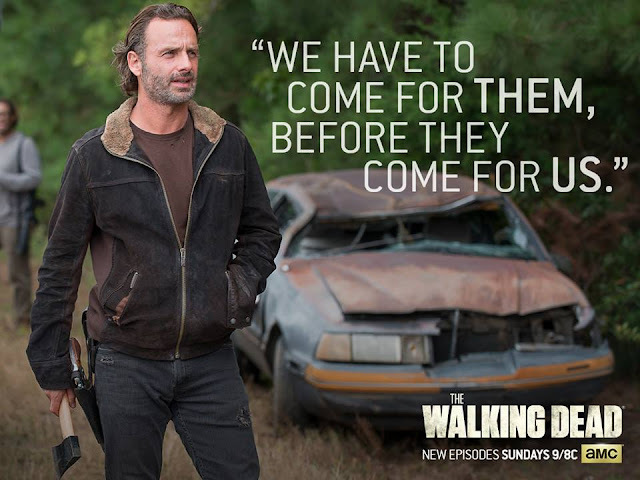 As we plummet towards the season finale of The Walking Dead, intensity mounts and brutality is the name of the game. What happened this past week, and how did we feel about it? Let's find out. Did anybody else have a hard time breathing during that episode? I know that my heart hasn't raced that fast in a while. 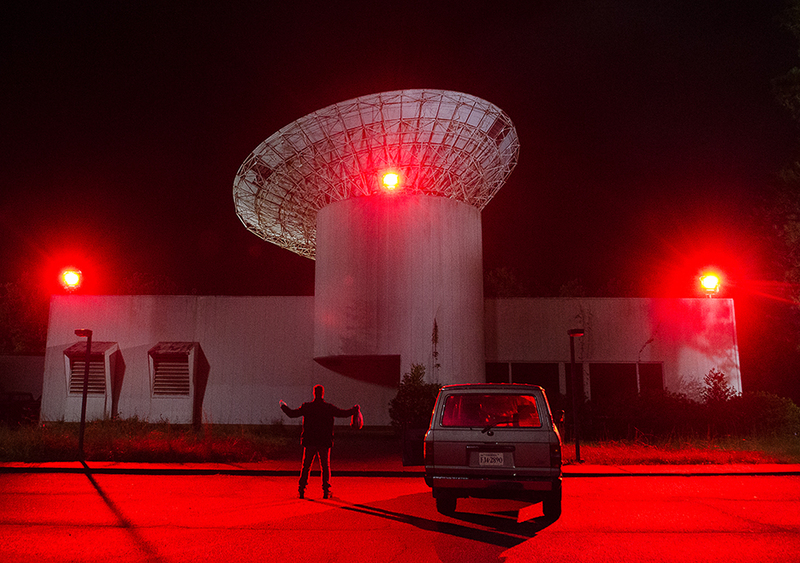 Tonight's episode was a great build and is what we can expect for the rest of this season. I loved seeing Carol fall into the role of Susie homemaker at the beginning of this episode. 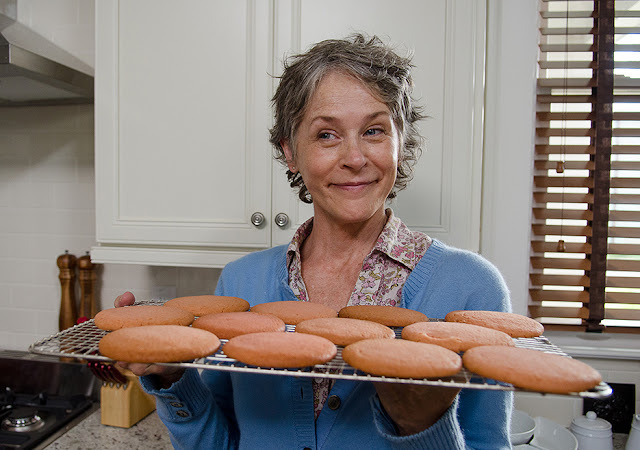 Carol is a character that I wish I had the ability to rescue from this television show. Not that the rest aren't worth saving, but Carol has endured so much to the point of resolution. I believe that she is one of few characters that knows who she is to the fullest extent of her abilities. Alternatively, by examining Carl, you'll notice that since the accident he has become a more mature person. He is far from being finished in his personality arc. It was also nice to see Carol have a moment with a man who respects her beyond her understanding. What's up with Morgan? Will he last much longer? What in the world was he making at the end? These were all questions that lingered in the back of my mind during this episode. Too much was happening outside of Alexandria to give any attention to those thoughts though. I also had come to the realization how mad outsiders must think Rick is. It just clicked tonight. I was thinking "Ricktatorship. Smashing walker faces. Storming into an unknown compound. Not flinching at the thought of killing living people. Rick really is a madman." My whole view on him switched. I definitely don't hate him, in fact I have a lot of respect for the guy. This isn't the world we live in, and the same rules don't reply. Rick is no longer a man that will waver from making hard decisions nor step down from inhumane actions. If the world went back to normal, humanity would be changed and he would know how to properly handle monsters. Not with the same level of violence, but he wouldn't allow his corner of the world to fall to what it once was. Another moment that I thought was very deep was when Glenn saw the photos, let's call them trophies, that the now dead man kept pinned to his wall. Very disturbing to see, but our group needs to know how disgusting these people truly are. There is no redemption when you glorify images like that. Though killing a human is a pressure I couldn't imagine having, these people need to be stopped because they will treat our gang the same as the people in those photos. There needs to be good people left in this world. I thought for sure one of our people would die; fortunately for my health, nothing happened. Maggie and Carol were kidnapped at the end, but my heart will deal with that trauma next week. 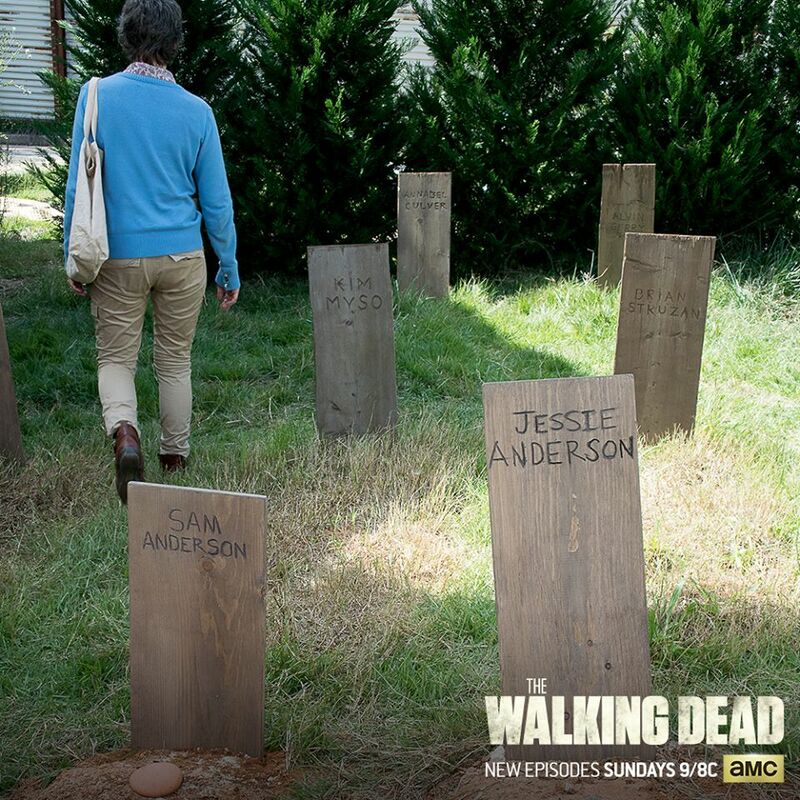 Carol leaving a cookie by Sam's grave. I'd been a little peeved with Carol ever since Sam's death, since her voice-over is what played while zombies ate him alive. But this was the perfect resolution I needed to show that Carol still does have emotions. I'm also glad they didn't just have the Anderson family die and then forget about it. I'm glad we got a little closure. Glenn and Heath discussing what it would be like to kill someone. That was one of Glenn's best monologues on the show, and I felt every word of it deeply. I also felt so overwhelmed with feels when Glenn did have to kill a person. It touched me when he took on the burden for Heath, too. Gabriel finally becoming a badass. I've disliked Gabriel for almost as long as I can remember, but he had one of the best moments ever in this episode. I'm thinking I'll start to like him a little better now. I'm noticing a lot of religious symbolism. 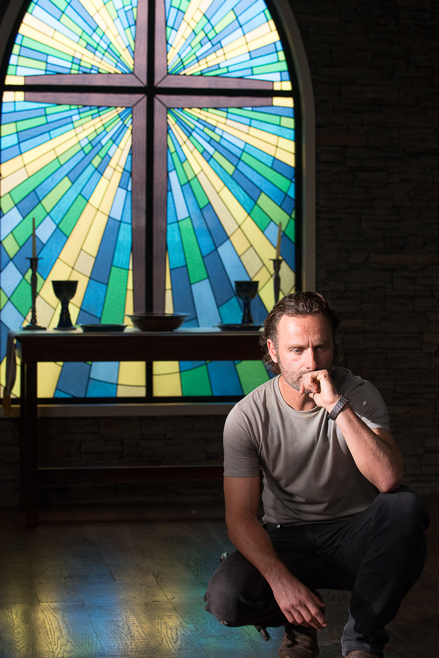 When Rick was talking to the group in the church, he was juxtaposed in front of the stained glass cross window. We also have Jesus (who bears more than a few resemblances to his namesake), and Gabriel's role in the community. There's also the fact that Negan's group is called the Saviors. I'm not sure what this is all leading up to, if anything, but I actually really love it. The morality of what Rick is doing. Like, oh my gosh. Rick (and his group) just killed a bunch of people. Living people, which are much different than walkers. While they had good reasons for doing so, this was a huge morally ambiguous decision. It's what people have to do now to survive. And that's what I like about it: The Walking Dead is taking us to very gritty and realistic places. I don't agree with what the group is having to do, but I realize that it's necessary. I'm just glad I'm not in the position where I have to do it. The whole plan to invade Negan's compound was actually pretty genius and thrilled me to my core. There were so many great, exciting action shots. When Rick punched the walker head... I'll admit it, I laughed. That was golden. Am I wrong in thinking that the photos Glenn saw on the wall are photos of people who've been violently killed by Negan? If this is the case, I hate it. I'm pretty sure we're leading up to at least one character death, if not more. I'm concerned for Rosita, Tara, and Heath at the moment. I've been concerned about Glenn all season, but as of this episode, I'm concerned for Carol and Maggie too. Not only because they've been kidnapped, but because I feel strongly that the showrunners want to shock us with who they kill. While speculation is that Glenn will die in the season finale, part of me wonders if they're just throwing in a bunch of foreshadowing in order to throw us off the trail. I wouldn't be surprised if they kill someone other than Glenn but someone just as beloved. (Michonne? Maggie? Daryl? Carol?) I'm just worried about everyone. As the song from Hamilton says, "Stay alive..."
This was a really solid episode with a perfect balance of danger and depth. I'm really looking forward to next week. What did you think of "Not Tomorrow Yet"? Any predictions for the rest of the season and the season finale?